5th Row: Jerry Buckles, Linda Turner, Pam Hanslow, Pat Leimbach, Wilbur Glick, Jr.
Identifications by Marylyn Fuhrer Downing and Cheryl Rothwell. The two missing names were provided by Maxine Van Fossan Williams after seeing the picture online. I believe there were 40 in the class so three are missing. One would seem to be David Shellhammer. 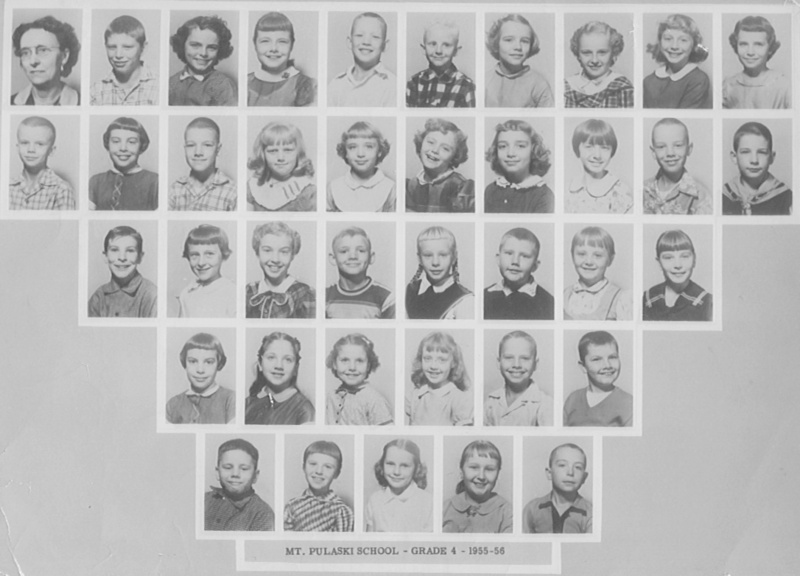 This page is "Miss Turley's 4th Grade 1955-56" on the Logan County, Illinois, ILGenWeb site. The address of this page is http://logan.illinoisgenweb.org/mp4th1955.htm.